Everyone loves the look and feel of a fireplace in a living space. 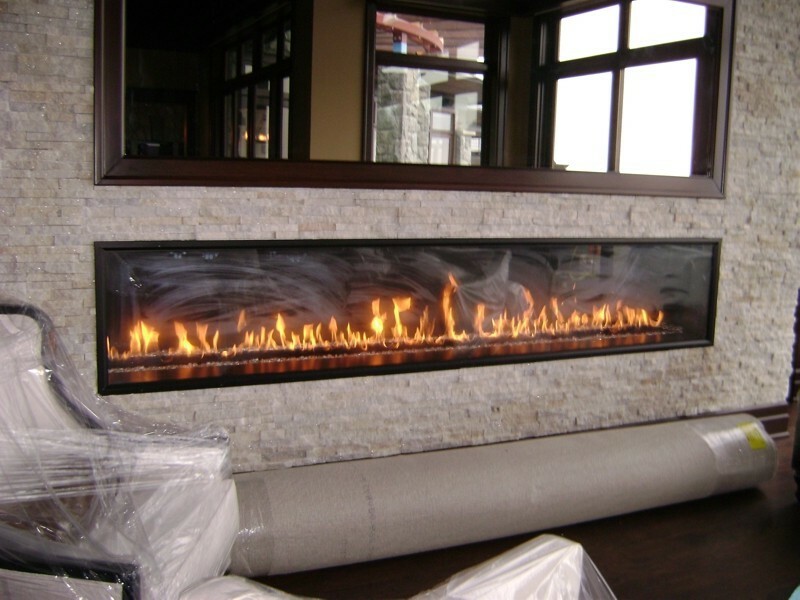 There are many options when it comes to fireplaces these days and many different types of fireplace installation. Here is some information on the most popular types of fireplace to help you make a decision. Electric fireplaces are becoming increasingly popular. They create warmth by electrically heating up the coils inside of it. Most models even come with a built-in fan to help distribute the heat around your home with ease. 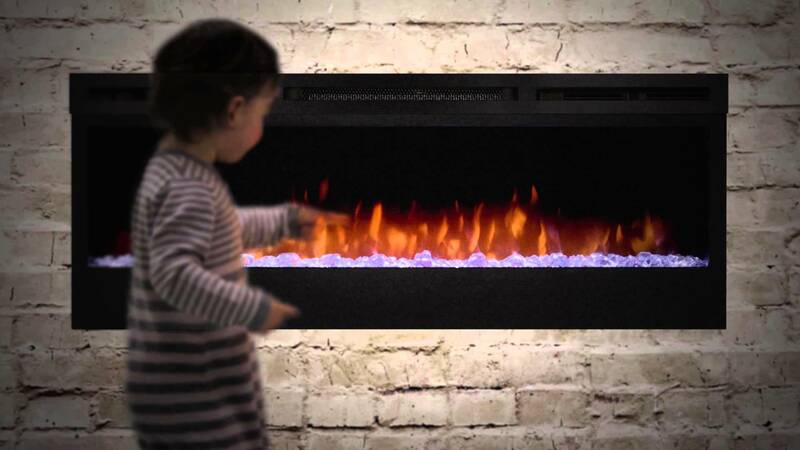 Electric fireplaces don’t produce real flames, but they do have fake ones that can look incredibly real. This will give you the ambience you are looking for with none of the risk as there is no fire involved. What’s more is that if your fireplace gets too hot, most models come with a feature that allows you to turn off the heating whilst keeping the flame flickering. Giving you far more control than any other type of fireplace. 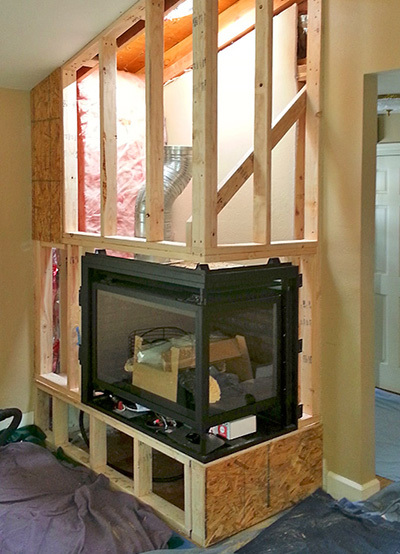 Electric fireplace installation is by far one of the easiest as it doesn’t require any vent installation. Gas fireplaces are another popular alternative to a traditional wood-burning fireplace. Gas fireplaces are also a low-cost option and are usually easy to install, especially if you already have a gas line coming into your home. If it’s a built-in option that you’re looking for then that can be easily done if you have a pre-existing chimney and fireplace. Gas fireplaces aren’t just affordable upfront they are also very efficient. They are an excellent choice if you’re looking to save money on your heating bill. If the built-in option isn’t for you, then you can opt for a standalone one instead. This will allow you to set up a fireplace in any room. Direct vented gas fireplaces will require a chimney for ventilation. A pre-existing chimney can be used. Alternatively, if your home doesn’t already have one a chimney pipe can be constructed. Ventless models don’t require a chimney or a pipe to be installed, although they have numerous safety features set in place, there is still a chance that the gas could stop burning clear and let combustibles seep into your home. When it comes to gas fireplaces you’ll have one more choice to make; natural gas or liquid propane. If you are convinced that your home needs a fireplace, and have decided what types is right for you then you will be in need of fireplace installation. You may be able to install most free-standing fireplaces yourself. But it’s always best to consult with a professional. Both of these fireplace types are relatively safe, but that is with proper installation.